For the love of life: Petaloo and Authentique Blog Hop! 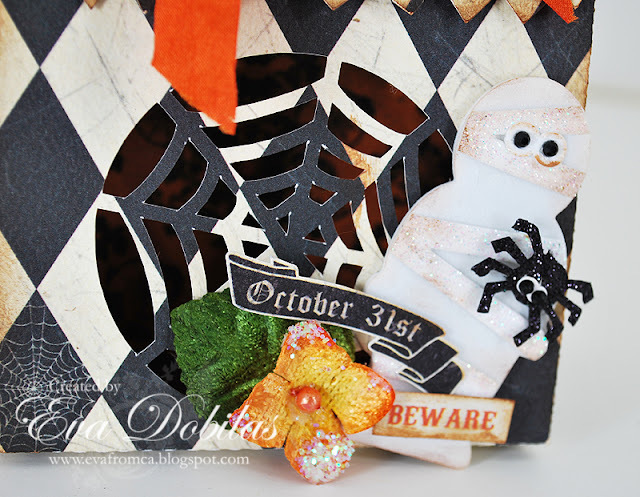 Petaloo and Authentique Blog Hop! 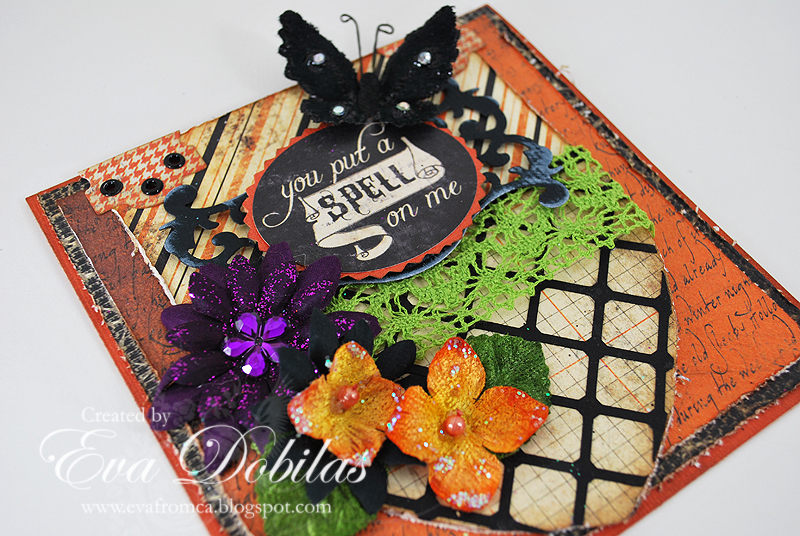 It's just the middle of September, and hot where I am, however playing with the beautiful Authentique Enchanted paper line and Petaloo's beautiful flowers got me in the mood of Halloween pretty easy. I have two projects to share with you today. 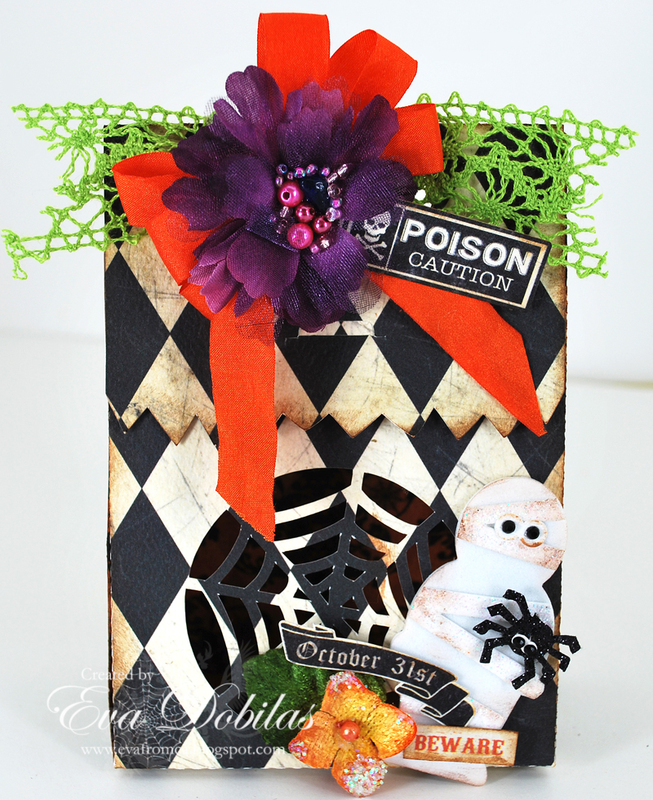 A super fun treat bag, which I cut out using the pretty Authentique papers with my Cameo, using Samantha Walker's newest cutting file and a card, which also had some digital cutting file on it, too. My card is using quite a bit different patterned papers, they just mix so beautifully and even used the hinge from the cardstock sticker sheet and pulled out some eyelets. I layered the pretty sticker label on Spellbinders label die, which I thought went perfect with the design. Finally to embellish this card I used Petaloo's Velvet Hydrangea's, Floradoodles Fabric Daisies and Velvet Butterflies. 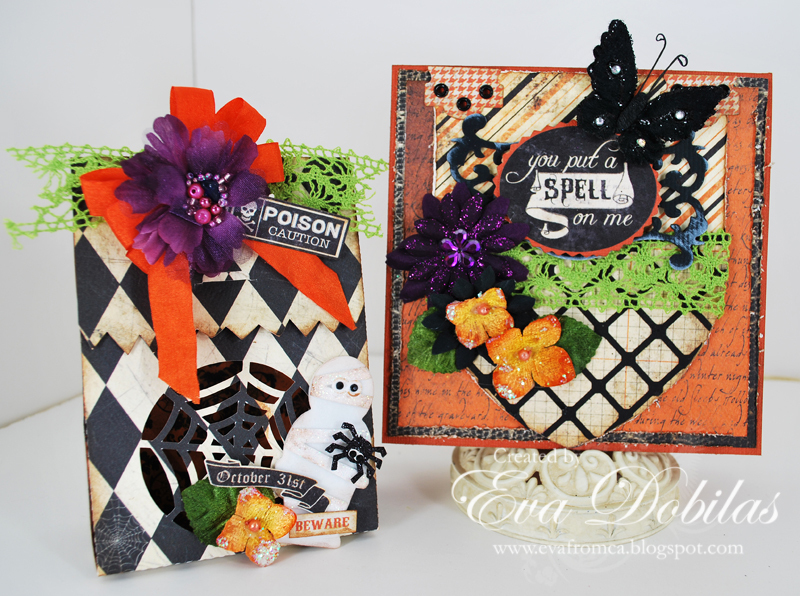 I also used the beautiful green crochet ribbon by May Arts. Here is a different angle of my card. My treat bag was super fun and easy to make. I just cut it out with my Cameo and started adding the pretty May Arts crochet green ribbon and the pretty orange ribbon, which I added the gorgeous plum color Beaded Peony and added one of the Authentique sticker tags. On the bottom of my bag I added the super fun Dazzlers Mummy and Spider and some more of the pretty Velvet Hydrengea and more adorable Authentique stickers. Here is a closeup of the Mummy area. Thought you might like to check it out. 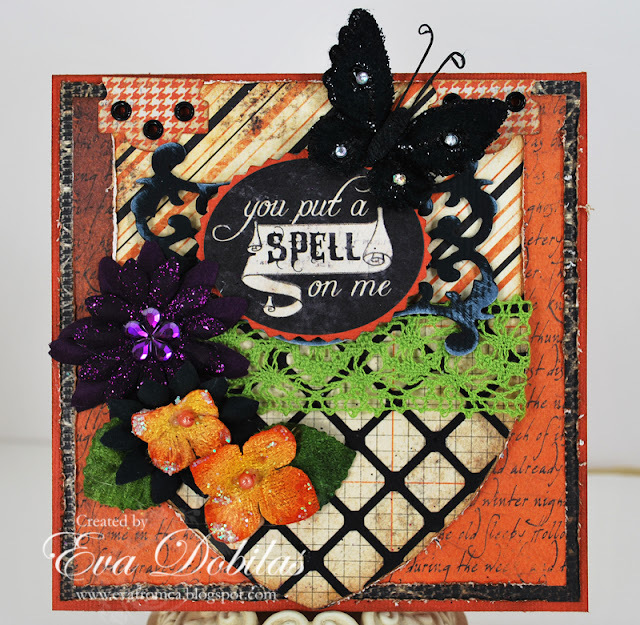 I had such a fun time using the Authentique Enchanted paperline. It will definitely be a favorite this Halloween. And finally here are the products I used from Petaloo. Thanks for visiting and have a beautiful day!!! Make sure you head on over to both Petaloo's blog and Authentique's blog as there are some very yummy giveaways involved. You don't want to miss out on them!! !